Forgive me Lord for all my sins and my wrong doings. I thank you for all your blessings to me and my family. May my prayers be heard but Your will be done. 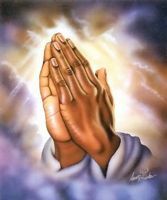 I pray for healing of our body, to make us strong so we can fulfill our duties to everyone and You. Help us make our mind and spirit always sharp and please grant us wisdom and understanding and humility to do good to others.